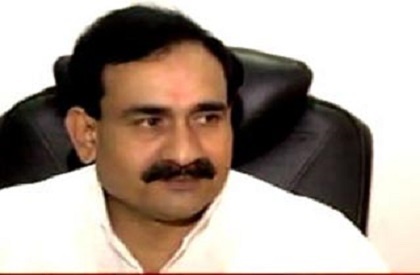 Bhopal: The 2008 election of MP cabinet minister Narottam Mishra from Dabra constituency in Datia district has been declared illegal by the Election Commission of India over allegations of publication of paid news and not showing it in election expenses. The minister – who is also government spokesman and holds portfolios of law and legislative affairs and well as public relations – has been barred from contesting elections for three years. The decision means Mishra would not be able to contest either the 2018 assembly elections in MP or the 2019 Lok Sabha polls. The decision of ECI is on the basis of a petition filed by Congress candidate for 2008 Dabra polls – Rajendra Bharti. Also Mishra, considered a close confidante of CM Shivraj Singh Chouhan, might lose his current ministerial post as well his membership of legislative assembly, although the decision of ECI pertains to his previous stint as MLA (2008-2013). Mishra has said that he would contest the ECI decision in MP High Court and expressed hope for justice. He said his side had not been heard properly by the ECI. Meanwhile, Nandkumar Singh Chouhan, state BJP chief, has said that the party stands with Narottam Mishra in the matter and all legal recourses would be taken. The Aam Aadmi Party was planning a demonstration later in day to demand dismissal of Mishra from minister’s post.